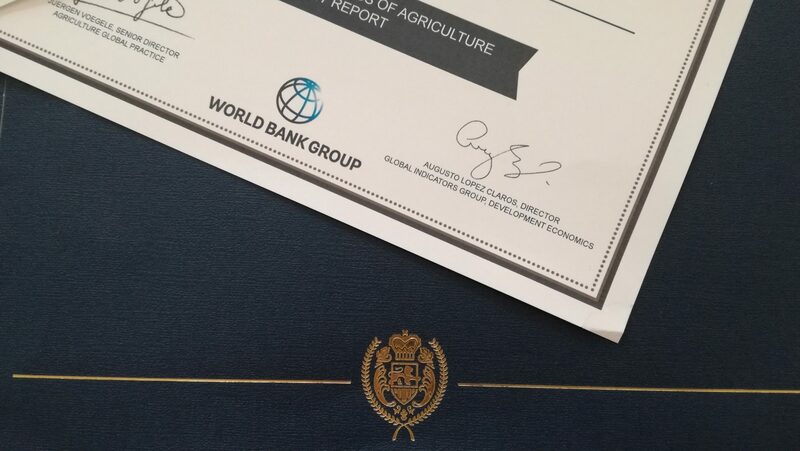 Tijana Žunić Marić and Nemanja Žunić, attorneys at Zunic Law, have recently participated in a research conducted by the World Bank in Enabling the Business of Agriculture 2017 Report. As World Bank explains on their website the report „examines and monitors regulations that impact how markets function in the agriculture and agribusiness sectors. The ultimate aim is to promote smart regulations that ensure safety and quality control as well as efficient regulatory processes that support thriving agribusinesses.” To undertake this project the World Bank has chosen a few legal practitioners from Serbia to provide key data on regulatory frameworks and laws that impact the enabling business environment for agriculture. Zunic Law Firm was honored to be selected to contribute to such a meaningful research and to be listed as one of the local experts in the area of agriculture on the World Bank’s website.